Audiences will be mesmerized by the provocative thriller Z for Zachariah, starring Academy Award nominee Chiwetel Ejiofor (Best Actor, 12 Years a Slave, 2013), Margot Robbie (The Wolf of Wall Street), and Chris Pine (Star Trek franchise) star in this post-apocalyptic tale that pits the world’s last three survivors against one another. 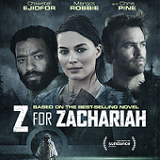 Nominated for the Grand Jury Prize at the 2015 Sundance Film Festival, the film is directed by Craig Zobel (Compliance) and written for the screen by Nissar Modi (Gringo Bay), Z for Zachariah is based on the award-winning book by Robert C. O’Brien. In the wake of a disaster that wipes out most of civilization, two men and a young woman find themselves in an emotionally charged love triangle as the last known survivors. Chiwetel Ejiofor, Margot Robbie, and Chris Pine deliver steamy, thought-provoking performances in this twist on the post-apocalyptic story. In a post-apocalyptic world, a young woman thinks she is the last person to survive. She lives in her farm house with her dog and they hunt to find food and water. One day, she comes across a trailer and sees down the road a person in a hazmat suit coming toward her. She hides and watches him as he finds water and goes for a swim. Ann warns him of the radiation in the water and discovers that this man, John, is a research scientist who has been in an underground shelter. She brings him back to her house after he falls ill and helps nurse him back to health. As John and Ann move forward, they begin rebuilding the farm and John figures out how the bring electricity back to the house and the farm by using the radioactive water and the wood from the church that Ann’s father preached in. One day, as Ann is out, she comes across Caleb, a man who was also underground when the world ended. She invited Caleb back to the house and she, John and Caleb begin a very precarious life together. John and Caleb begin work on getting the electricity back and build the water wheel that will make it all work. John notices an attraction between Ann and Caleb and jealousy begin taking over. He watches from the sidelines as Caleb moves in on Ann, who he considers “his.” Caleb and John finish the water wheel and as Caleb climbs up the waterfall, he slips and John grabs the rope. A moment passes between the two, and John returns home without Caleb. 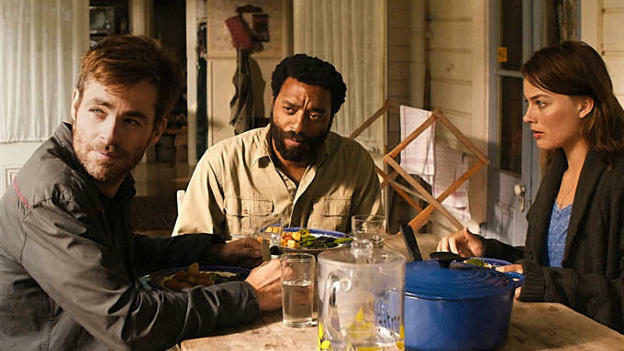 He tells Ann that Caleb left and they go on with their lives as the last two people on earth. So, I watched the movie a few days ago and let it sit in my mind for a while before getting my thoughts down. Even after a few days, I don’t like it any more than I did the day I watched it. Many of the box reviews called it a “gripping thriller…” there was no “thriller” about it. I found myself bored and watching the clock waiting for the movie to end. The actors were good – I’m not usually a fan of Margot Robbie, but I did like her in this role. 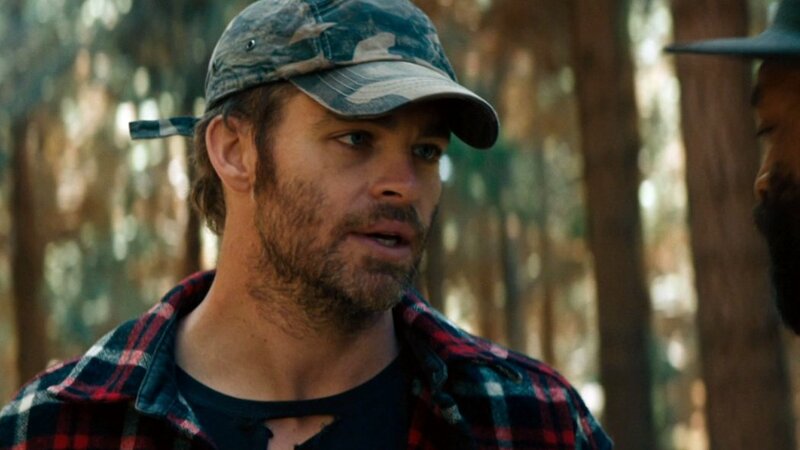 Chris Pine, who I used to always mistake for Chris Evans, was really good. He was kind of creepy, but I thought he was the most interesting of the characters. Chiwetel Ejifor was pretty good, as well. I’m not as familiar with him, but I do enjoy his work. The actors made the movie better, but the story was a bit lacking. 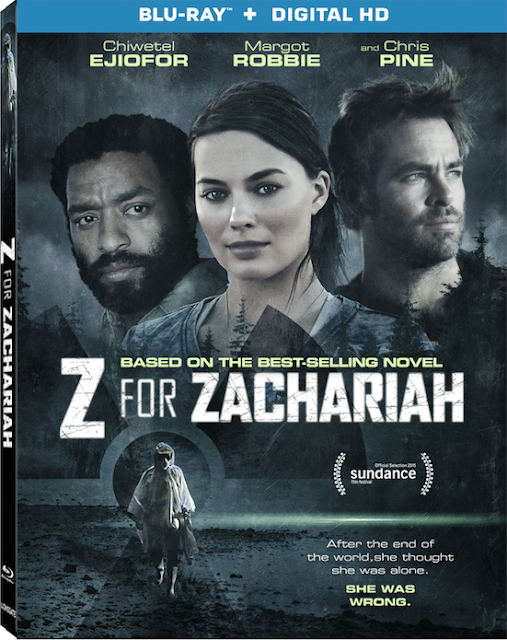 I must have missed the explanations of the significance of the title of the movie because there was no Zachariah in the movie, which kind of make it worse. Hopefully, the story just didn’t translate well from page to screen. 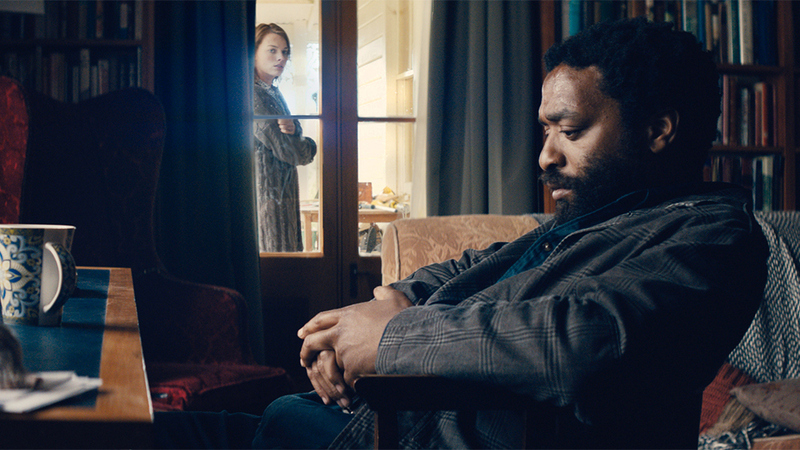 The widescreen presentation of Z for Zachariah was good. The picture was clear and I really liked the contrast between post apocalyptic town and the lush, green valley Ann lived in. The colors were bright and airy and in the town, the gloomy grey was done really well. The dirt on the characters’ faces looked realistic and wasn’t over done. The picture was very sharp and transitions were well done. The English 5.1 DTS-HD master audio was good. The dialogue was well-heard and the background music was haunting, but not overwhelming. Margot Robbie’s accent at times seemed a little over done, but it wasn’t distracting. 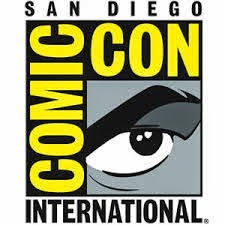 Audio is also available in Spanish DTS-HD master audio. The special features were actually much better than the movie itself. The discussions about the story and the characters gave me a better understanding of the movie, but unfortunately didn’t make me like it any more. The Making of Z for Zachariah – This is a short 11 and one half minute look at the making of the film. It includes interviews with the cast and crew and really gives the viewer a better understanding of the movie. Deleted Scenes – Four deleted scenes available individually or in a play all option. Each scene didn’t bring much more to the movie and all were good to leave out. Extended Interviews – Interviews with Director Craig Zobel, Margot Robbie, Chiwetel Ejiofor, and Writer Nisser Modi. They are available individually or as a play all. With a run time of 20 minutes, these interviews were kind of interesting, but nothing to write home about. Z for Zachariah trailer – The long trailer for the movie. The trailer makes the movie look much more interesting than it actually was. Also from Lionsgate – The previews from the beginning of the disc. Bookmarks – I suppose I should stop being annoyed by this feature, because for some reason, Lionsgate likes it. I still don’t understand its purpose. It’s rare that I enjoy the special features more than the movie itself, but in this case, I found the features to be more enjoyable. The movie was boring and I expected more of an edge-of-my-seat suspenseful story. Fans of all three actors might enjoy it more than I, but if you’re looking for suspense, pass on by this one.